Binghamton Senatorsare the Farm Playoffs Champions for year 16! Ryan Carter is no longer captain for Binghamton Senators. Matt Carkner has been selected as captain for Binghamton Senators. Tuomo Ruutu is no longer captain for Binghamton Senators. Viktor Tikhonov is no longer as assistant for Binghamton Senators. 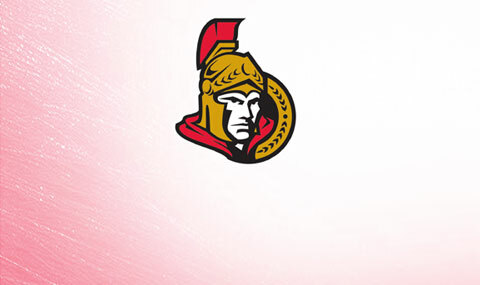 [25.04.2017 22:11:26] - Senators was eliminated at round 1 of year 16. [05.05.2017 23:40:29] - Matt Carkner is no longer as assistant for Binghamton Senators. [05.05.2017 23:40:29] - Ryan Carter has been selected as assistant for Binghamton Senators. [05.05.2017 23:40:29] - Viktor Tikhonov is no longer as assistant for Binghamton Senators. [05.05.2017 23:40:29] - Matt Carkner has been selected as captain for Binghamton Senators. [05.05.2017 23:40:29] - Ryan Carter is no longer captain for Binghamton Senators. [21.04.2017 23:01:10] - Travis Zajac has been selected as assistant for Senators. [21.04.2017 23:01:10] - Blake Wheeler is no longer as assistant for Senators. [18.04.2017 22:13:48] - Blake Wheeler has been selected as assistant for Senators. [18.04.2017 22:13:48] - Travis Zajac is no longer as assistant for Senators. [05.05.2017 23:40:29] - Tuomo Ruutu has been selected as assistant for Binghamton Senators. [09.05.2017 22:07:27] - Matt Carkner is no longer captain for Binghamton Senators. [22.05.2017 22:01:39] - Tanner Glass has been selected as assistant for Binghamton Senators. [22.05.2017 22:01:39] - Colin Greening is no longer as assistant for Binghamton Senators. [22.05.2017 22:01:39] - Colin Greening has been selected as assistant for Binghamton Senators. [22.05.2017 22:01:39] - Ryan Carter is no longer as assistant for Binghamton Senators. [06.06.2017 22:07:45] - Binghamton Senatorsare the Farm Playoffs Champions for year 16! [22.05.2017 22:01:39] - Ryan Carter has been selected as captain for Binghamton Senators. [22.05.2017 22:01:39] - Tuomo Ruutu is no longer captain for Binghamton Senators. [09.05.2017 22:07:27] - Colin Greening has been selected as assistant for Binghamton Senators. [09.05.2017 22:07:27] - Tuomo Ruutu is no longer as assistant for Binghamton Senators. [09.05.2017 22:07:27] - Tuomo Ruutu has been selected as captain for Binghamton Senators. [23.03.2017 0:45:57] - New Record for Team\'s Most Shots (51) in 1 Game for Senators! [11.04.2017 23:25:48] - Blake Wheeler is no longer captain for Senators. [11.04.2017 23:25:48] - Vincent Lecavalier has been selected as captain for Senators. [11.04.2017 23:25:48] - Vincent Lecavalier is no longer as assistant for Senators. [11.04.2017 23:25:48] - Travis Zajac has been selected as assistant for Senators. [07.12.2016 22:22:40] - TRADE : From Oilers to Senators : Jean-Francois Berube (58). [07.12.2016 22:22:39] - Jean-Francois Berube was added to Senators.